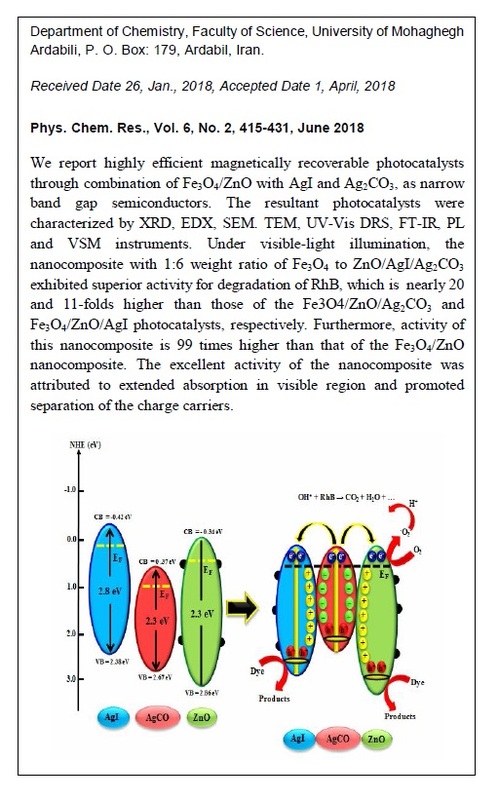 We report highly efficient magnetically recoverable photocatalysts through combination of Fe3O4/ZnO with AgI and Ag2CO3, as narrow band gap semiconductors. The resultant photocatalysts were characterized by XRD, EDX, SEM. TEM, UV–vis DRS, FT-IR, PL, and VSM instruments. Under visible-light illumination, the nanocomposite with 1:6 weight ratio of Fe3O4 to ZnO/AgI/Ag2CO3 exhibited superior activity for degradation of RhB, which is nearly 20 and 11-folds higher than those of the Fe3O4/ZnO/Ag2CO3 and Fe3O4/ZnO/AgI photocatalysts, respectively. Furthermore, activity of this nanocomposite is 99 times higher than that of the Fe3O4/ZnO nanocomposite. 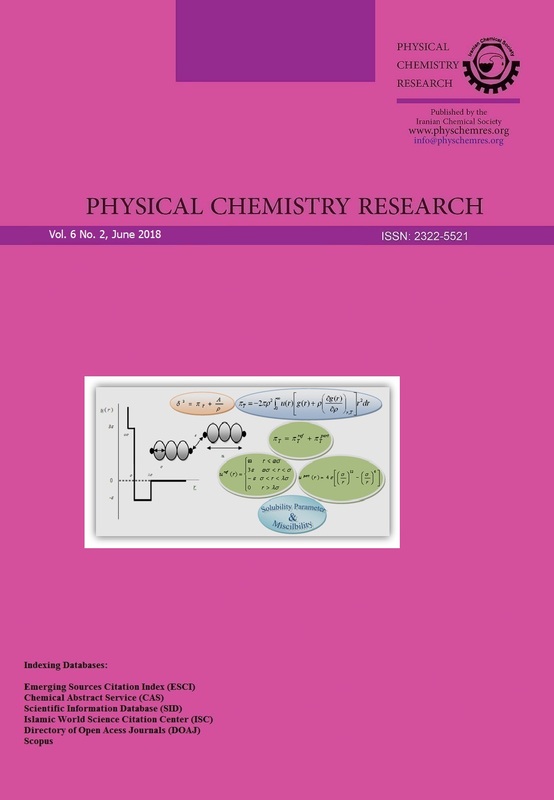 The excellent activity of the nanocomposite was attributed to extended absorption in visible region and promoted separation of the charge carriers. Significantly, photocatalytic behavior of the nanocomposite was evaluated using photodegradations of three more organic pollutants and the highly improved activity in comparison to the counterparts was confirmed. Finally, the nanocomposite displayed enough magnetic properties to separate it using an external magnetic field.